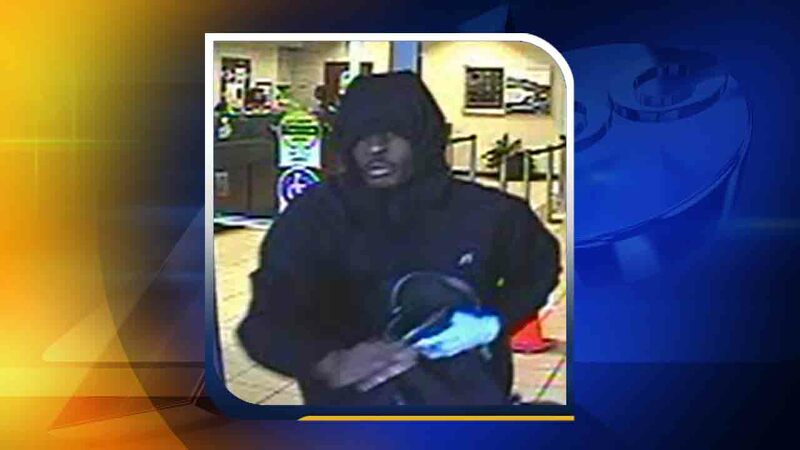 RALEIGH, NC (WTVD) -- Raleigh Police are searching for a suspect who robbed a State Employees Credit Union branch Thursday afternoon. It happened shortly after 3 p.m. at the SECU location at 4262 Louisburg Road. According to surveillance footage, the man displayed a handgun. Police originally reported two men were responsible for the crime; however, they said one of the accused was actually a witness. Anyone with information that might assist the investigation of the incident is asked to call Raleigh CrimeStoppers at (919) 834-HELP or visit raleighcrimestoppers.org for text and email reporting options. CrimeStoppers pays cash rewards for anonymous tips that help solve cases.